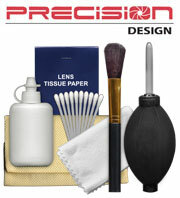 Protect your lens and get increased image quality. 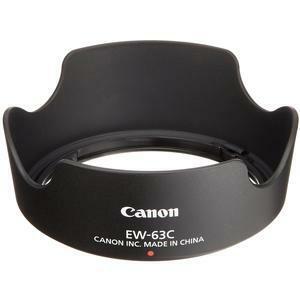 The Canon EW-63C Lens Hood for EF-S 18-55mm f/3.5-5.6 IS STM is designed to prevent unwanted stray light from entering the lens by extending and shading the end of the lens. In addition, since the end of the lens is extended, you also get the added benefit of extra protection from accidental impact. High-quality, all-glass filters at an affordable price. 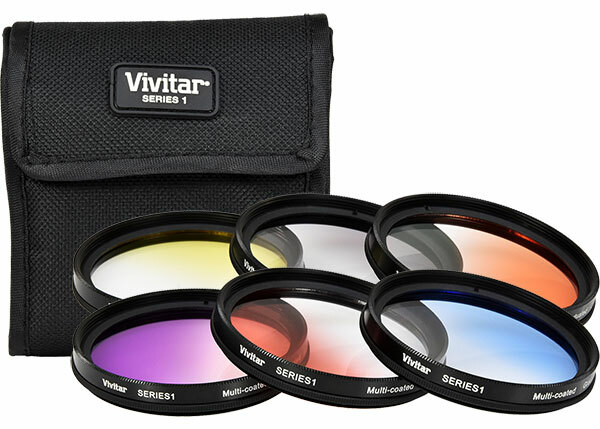 This Vivitar Series 1 3-Piece Filter Set contains a variety of multi-coated glass filters that will optimize your photography experience, and protect your lenses from scratches and dust. 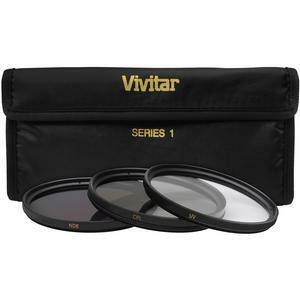 Vivitar multi-coated lens filters are translucent glass placed in front of a camera lens to alter or adjust the light entering the camera and to protect the camera lens. Lens filters improve photographs by giving photographers control over light and allowing them to emphasize the features of a scene that they consider most important. 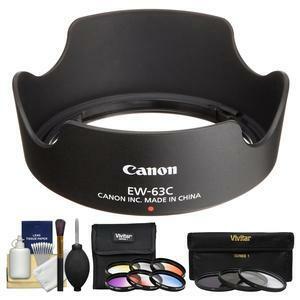 This particular filter kit is a combination of the three filters no photographer should be without. Filters are one of the least expensive accessories you can use to make big changes in the way your pictures look. Includes filter storage wallet. Ultraviolet UV Filters are multi-purpose filters that absorb ultraviolet rays that often make outdoor photographs hazy and indistinct, and should be constantly fitted to a lens to provide improved clarity and color balance, as well as to provide protection to your lens. Circular Polarizing (CPL) Filters allow you to remove unwanted reflections from non-metallic surfaces such as water and glass, as well as improve color saturation, clarity and contrast. This threaded filter is often used to increase the contrast and saturation in blue skies and white clouds, for example. Polarizing filters do not affect the overall color balance of a shot, and they will provide protection for your lens while shooting. Neutral Density filter reduces intensity of all wavelengths or colors of light equally, giving no changes in hue or color rendition. ND filters are particularly useful reducing depth of field in very bright light. ND8 allows 1/8 of available light into the lens (3 f-stops). Creative photography for skylines and landscapes. 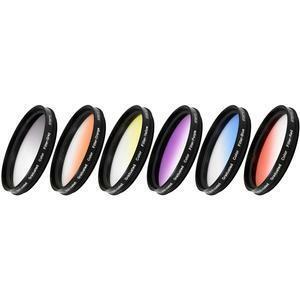 The Vivitar 6-Piece Multi-Coated Rotating Graduated Color Filter Set has been manufactured from high-quality, solid optical glass. Graduated color filters provide a gradual color transition for a smooth blending effect, and the rotating frame allows desired placement of color. Give your landscape and skin tone a more colorful touch. Perfect for changing the mood of a picture. 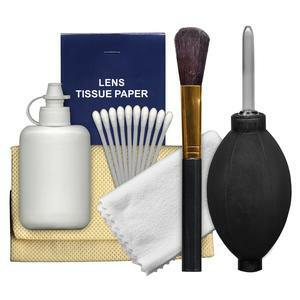 This set includes a red, yellow, blue, orange, grey and purple filter along with a 6-pocket wallet that protects your filters.